Jupiter was incorporated in 1925. It was first named Hobe after the Hobe Indian tribe. A mapmaker once misread it as Jobe and translated it to Jove. Later, other mapmakers mistook Jove as the Latin word for the Roman god Jupiter, and therefore named the town after the English version of the Roman god’s name. Now, Jupiter has a population of over 65,000 residents. 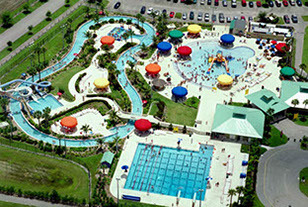 It is now known for its beautiful beaches, park and beach trails, and as the Spring Training home for the Florida Marlins and St. Louis Cardinals. Jupiter is the northernmost town in Palm Beach County. As Palm Beach natives, Lux Moving and Storage have experience navigating Jupiter and Palm Beach County. Our 100% customer satisfaction goal is what strives us to provide quality moving services to residents and businesses in Palm Beach County. Trust that you are in good hands with family-owned and local Lux Moving and Storage! The historic Jupiter lighthouse is the most famous landmark in Jupiter. Fun outdoor activities for Jupiter residents include climbing the lighthouse, kayaking along the Loxahatchee River, or doing some exercise or enjoying a picnic at the Carlin Park. Living by the beach can make moving complicated, but Lux Moving and Storage has the knowledge and expertise to handle even the toughest of moves. We’re always committed to providing you with stress-free moving services in Jupiter at a price that won’t break the bank. 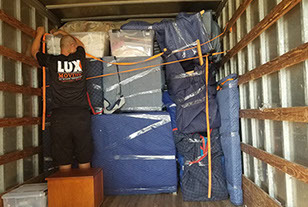 Servicing the Jupiter area for over 10 years now, Lux Moving and Storage have come to know all of the 21 square miles of Jupiter. We have left lasting impressions on the toughest customer critics. All over the city we continue to exceed customer expectations, making a standard practice out of our client’s satisfaction. Be one of many to have a truly great moving experience and reach out to us for your moving needs. Give us a call and see why Lux Moving and Storage is so highly recommended in the moving industry. Enjoy doubled insurance included free of charge. Feel at ease with price guards (price reductions if the service extends beyond the estimate). What we quote you is what you pay, we never charge hidden fees, that’s our policy. Call Lux Moving and Storage Today!